Can Video Laryngoscopy Improve Trainee Success in Intubation? Things aren’t the way they used to be. When I was training, opportunities abounded for opportunities to intubate infants. Then we did away with intubating vigourous infants born through meconium and now won’t be electively intubating them at all. Then you can add in the move towards use of non-invasive respiratory support instead of intubating and giving surfactant and voila…you have the perfect barrier for training residents and others how to intubate. On top of all of this the competition for learning has increased as the skill that was once the domain of the physician has now spread (quite rightly) to respiratory therapists, nurses in some places and with the growth of residency programs (ours is now 2.5X larger than when I trained) the scarce chances are divided among many. To be clear this isn’t a post to promote a product but rather an examination of the effectiveness of a tool. I am putting this out there recognizing the possibility that someone out there might have heard of or have been contemplating purchasing one of these items. Those that are quite proficient at intubation (likely trained in the “good old days”) would likely question the need for such a device but I believe the device isn’t really aimed at that group except to use perhaps as a teaching tool. It really is targeted (at least I think) for those who don’t perform the skill often. 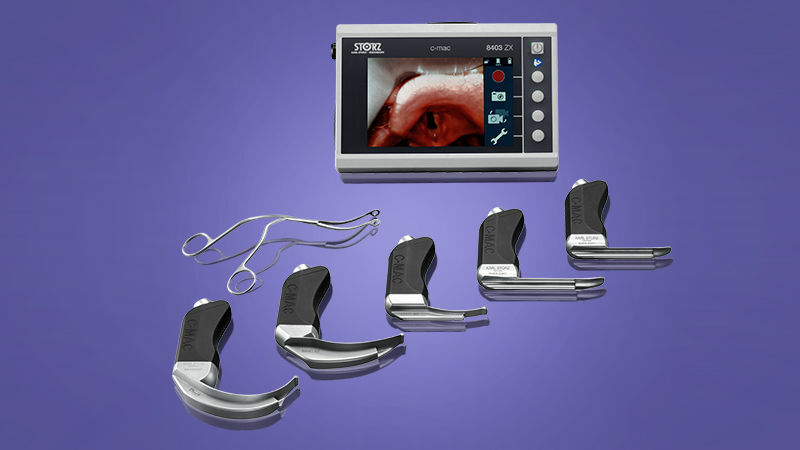 Does use of the video laryngoscope improve success rates at intubation? This question has had an attempt now at being answered by Parmekar S et al in their paper Mind the gap: can videolaryngoscopy bridge the competency gap in neonatal endotracheal intubation among pediatric trainees? a randomized controlled study. The study involved taking 100 pediatric residents and randomizing them into two groups. The first would use the videolaryngoscope (VL group) and then intubate using the standard technique of direct laryngoscopy (DL group). The second group started with DL and then changed to VL. Both groups took part in a training session on intubation and then participated in three simulation scenarios from NRP. The findings demonstrated a couple interesting things. The first as shown in the graph was that the group that started with the laryngoscope had a near 90% success rate compared to about 60% for the traditional approach. When the groups swapped though they were both equal in effectiveness. This suggests that by visualizing the airway with the VL students were able to identify structures better after doing so such that success was improved simply by having used the device. The other finding worth mentioning was that when the times to intubation were looked at, there was no difference between the two groups at all. If the intubation success is no different, why might the times be the same? Having used the video laryngoscope myself it does take some getting used to. Rather than looking directly at the airway you find yourself looking off to the side and adjusting the approach that is in front of you to place the ETT. No doubt this does take some getting used to. What I would have liked to see is a repeat assessment a week later after using a few more trials with the VL as I suspect once you are used to it the speed of intubation would improve as well. I suppose though we will have to wait a little while until someone does such work but as a means of improving success in intubation I believe this tool has something to add. May, but in the video laryngoscopy, the image is enlarged. My/our experience of Video Laryngoscopy is positive as of the pros you mention. In addition there is a collective learning process when you can visualize your colleague’s intubation, the anatomy, and there is also a confidence in the room after intubation when everbody can confirm the success of the intubation. It was interesting to see the success rates within the two groups. And it takes some time getting used to, but once you’ve done that it is all positive. A negative aspect is the difficulty with VLBW. Approx <800gram are difficult to intubate because the camera is located too proximally on the Miller #0-blade. There is a recent update, though, that has addressed this problem. We recently, got the new Miller #0-blade, and hopefully it works out better for the smallest children. We use videolaryngoscopy in all our neonates requiring access to the trachea since about 9 months now and our experience is a very positive one. It’s not only the collective learning nor the time and success to intubate. Yes, it takes time to get used to. With our current system we can be much more gentle as you don’t have to make a viewport as the camera is on the tip of the blade. We’re using the Accutronic InfantView and it has been very helpfull in especially the smallest baby’s <800 grams. Surfactantsuppletion with MIST/LISA procedures are so much easier and gentle. I hope someone does the proper studies as we're too late now as everyone embraced this technology :). My only fear now is that our new collegues/fellows lose the skill of direct laryngoscopy.